I'll be honest with you, I am full of good intentions but sometimes lack the killer instinct to carry them to fruition. Late last year, I was invited to speak at one of the Dream It, Do It events hosted by my friend Fiona Dillon and her friend Nicola Carolan. Nicola is also known as The Naked Blondie and has basically changed her life by documenting her weight loss journey with Slimming World. While I was waiting for my turn to talk (and you know how much I love to talk...) I was inspired by how Nic has revolutionised her life and since then we've kept in touch, particularly on Snapchat where there's lots of banter and fun in equal measure. Tonight's dinner ended up as an accidental Slimming World friendly meal, based on my original Double Spud Topped Cottage Pie, but adapted as I was out of sweet potatoes. 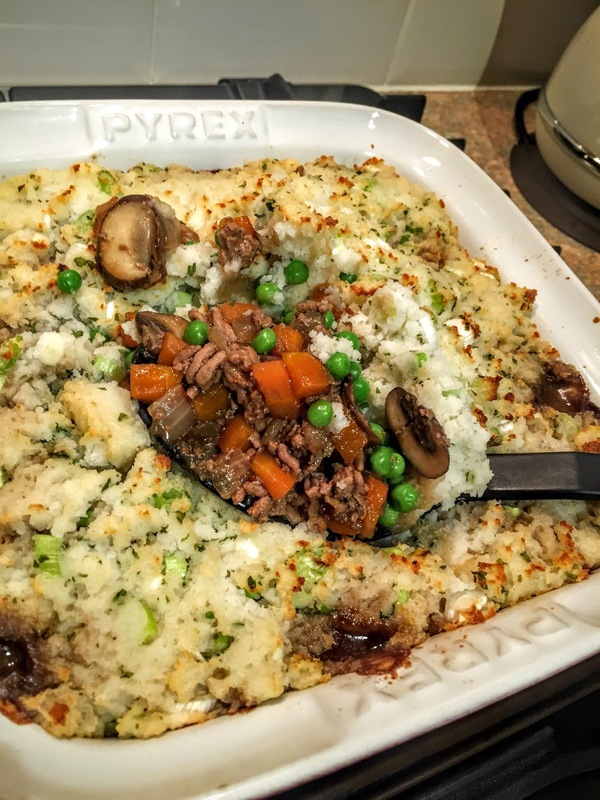 Using spray oil instead of regular rapeseed oil and leaving out the butter in the mash, turns this entire cottage pie into a 2.5 syn masterpiece! According to Nicola, the only syns come from the Knorr Gravy Pot which I always use in a Cottage Pie, everything else is free. Not that you can tell, because this Cottage Pie is warming, comforting, utterly delicious and doesn't taste of deprivation. One dinner recipe that I'll definitely repeat. Simmer the carrots for 5-8 minutes until soft. 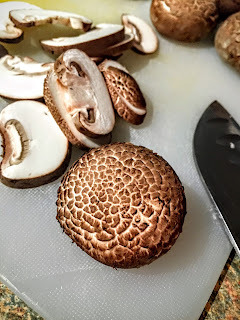 While they're cooking, grab a large frying pan, spray it with oil & cook the onion until translucent and soft (no colour), Add the mushrooms and continue to cook for 2-3 minutes. Transfer the onion, mushrooms & carrots to a large pot and set aside. Add the minced beef to the empty frying pan and cook gently until brown and crumbly. Transfer to the pot full of vegetables. Throw in the gravy pot, stockpot & worcestershire sauce, pour in the water, stir and simmer for 20 minutes. Now it's time to boil the potatoes until tender. When cooked, mash them (if you have a potato ricer, this is great for really light fluffy mash. If not, don't worry), add the spring onions, parsley & seasoning. Pour the cottage pie filling into a large ovenproof dish, stir through the frozen peas and tumble the mashed potato over the top, levelling out with a fork. Bake in a hot oven (200c/Gas Mark 6) for 20 minutes until the mash is crispy and brown on top, and the filling is bubbling beneath. This recipe will serve three hungry people or 4 more polite ones with extra veg. Oh, and why frozen peas before the oven? Well, if you add them in with the rest of the ingredients, they go a bit grey and bullet-like. Putting them in just before you add the mash on top means they're sweet and tender. See, there's method in my madness!